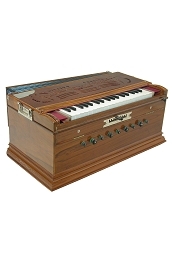 A harmonium is a free-standing keyboard instrument similar to a reed organ. 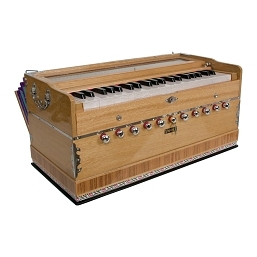 Sound is produced by air, supplied by foot-operated or hand-operated bellows, being blown through sets of free reeds, resulting in a sound similar to that of an accordion. 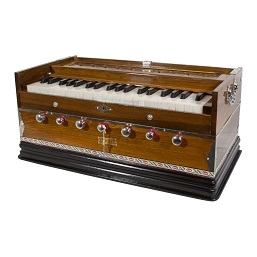 During the mid-19th century missionaries brought French-made hand-pumped harmoniums to India. 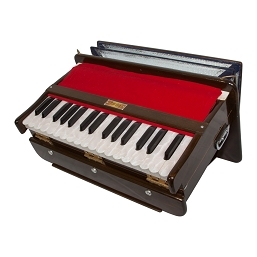 The instrument quickly became popular there: it was portable, reliable and easy to learn. 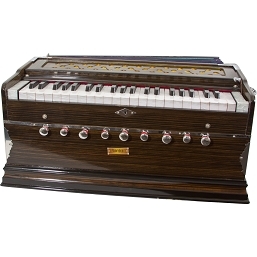 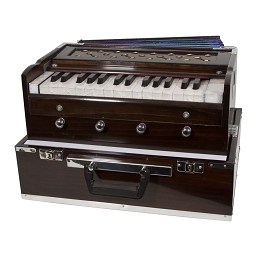 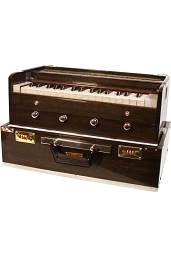 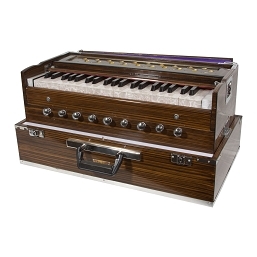 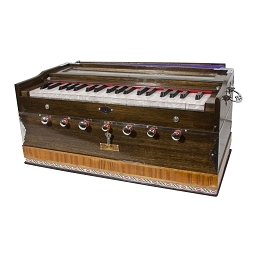 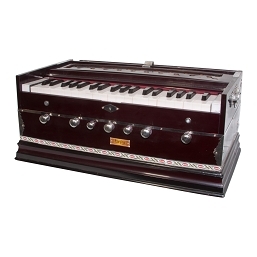 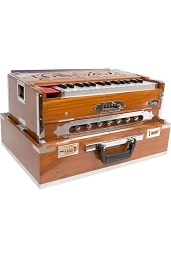 It has remained popular to the present day, and the harmonium remains an important instrument in many genres of Indian music. 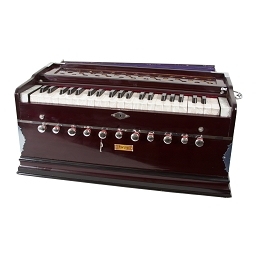 It is commonly found in Indian homes. 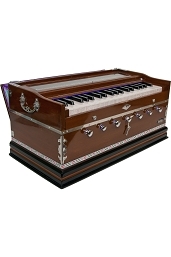 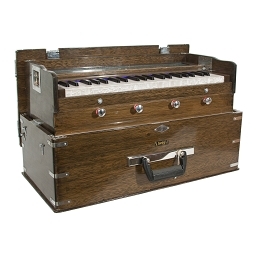 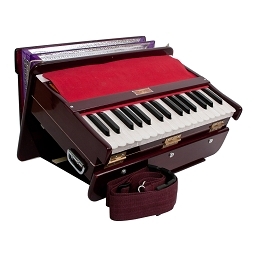 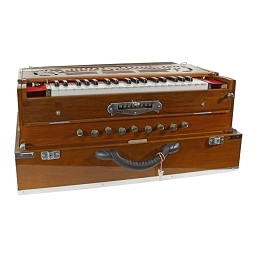 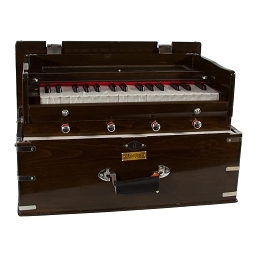 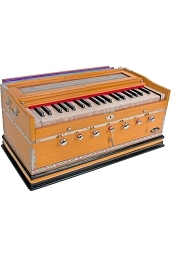 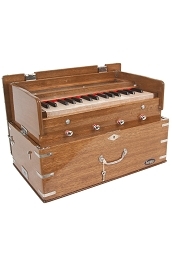 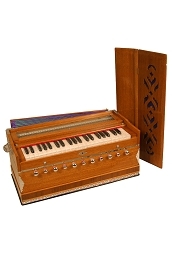 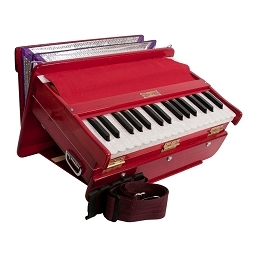 Though derived from the designs developed in France, the harmonium was developed further in India in unique ways, such as the addition of drone stops and a scale changing mechanism.